LOVE DIVINE 4: AVAILABLE NOW! 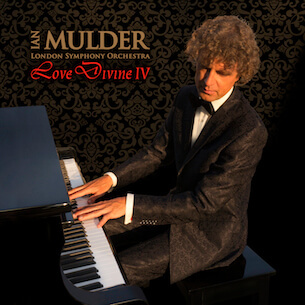 Love Divine 4: the 4th album to Mulder's best-selling series of Love Divine CDs, which is popular in more than 20 countries. The Dutch/American composer and pianist transformed 12 beautiful traditional and contemporary songs into brilliant masterpieces. Highlights include: "In Christ Alone", "Come Thou fount", "Above all", "All is well" (by Michael W. Smith) and "I need Thee every hour". The new album sounds absolutely beautiful; Ian Mulder plays the Steinway & Sons grand piano at Abbey Road Studio 2, featuring the London Symphony Orchestra. Principal conductor of this famous orchestra is Simon Rattle. All lyrics have been printed in the luxurious 16-page booklet. Sheet music for piano is available here. Total running time is 55:00.